The 26th President of the United States, Theodore Roosevelt, was born on this day in 1858. Use primary source documents from our new online inquiry kits to help students learn more about his legacy and commitment to protect the environment. Join the STEM festival for inspirational and educational programs, events and activities in Science, Technology, Engineering, and Mathematics. A wide variety of events are happening throughout the state. Find one near you! Here are a just a few things you can see or do! 3D printing, cybersecurity competitions, robotics demonstrations, STEM story time, building a Galaxy with code, and kitchen science. 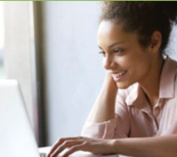 Late Fall Online Courses: Last Call! Fall is the time for renewal! Ring in the season of change with a renewed commitment to your teaching. Our final session of the year is right around the corner. Save your virtual seat today! Get in the holiday spirit along with your favorite characters from PBS KIDS. Create cool Halloween cards or make an imaginative mask. Watch entertaining videos and play games, or rev-up the learning with hands-on activities. 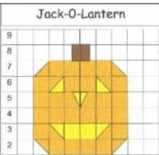 Fall into an assortment of seasonal activities designed to help students develop mathematical concepts using a pumpkin theme. Learn about a new campaign designed to increase the number of college applicants from underrepresented populations, including first generation and low-income students, youth in foster care, and students with disabilities.